The lead singer from the rock band, 30 seconds to Mars and the Joker from the movie Suicide squad, Jared Leto, is an Oscar-winning actor. 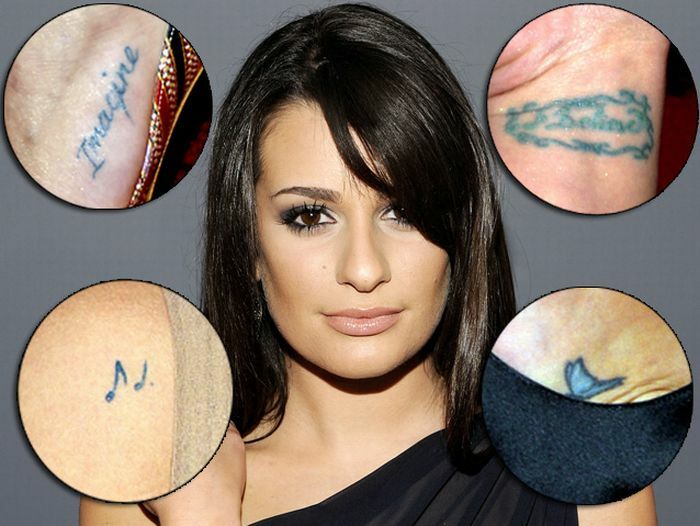 He is regarded as the most committed actor in Hollywood and has got some geometrical tattoos; all of those are a tribute to his rock band. Let’s scroll down to find the meaning behind his inscriptions. 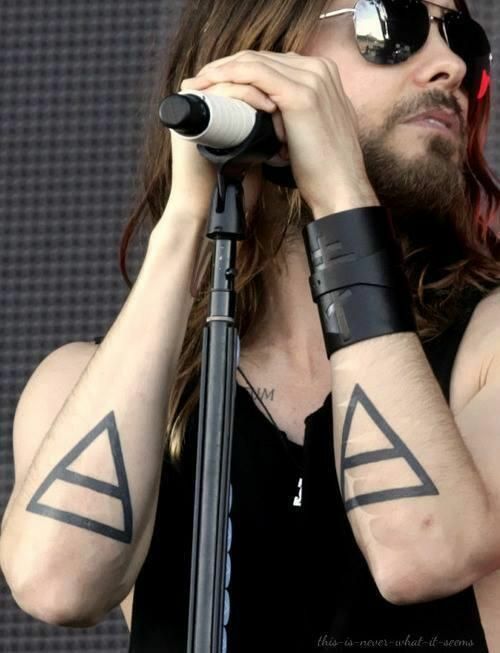 Meaning: Jared has two alchemy triangles inked on his back of both forearms. 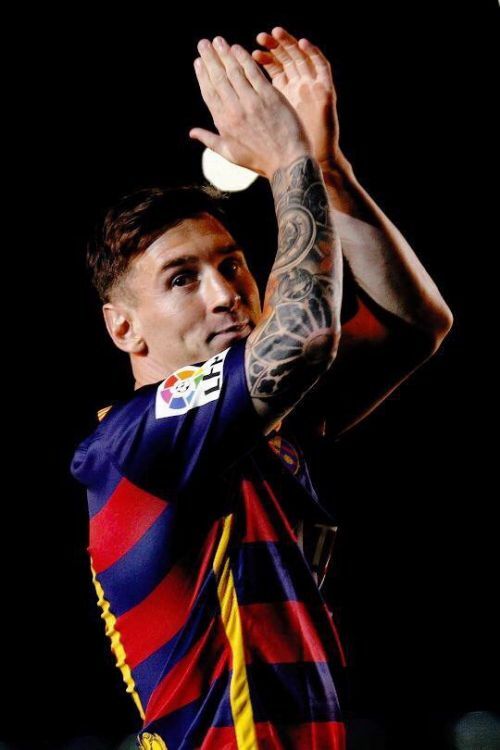 The tattoos are geometrical and are the alchemy symbol for air. 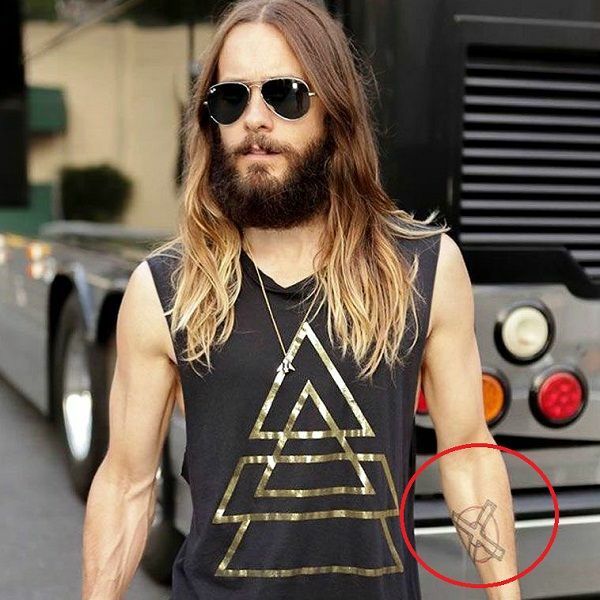 Meaning: Jared has an echelon X symbol tattoed on his left forearm. This is one of the band’s, 30 seconds to mars, logo. 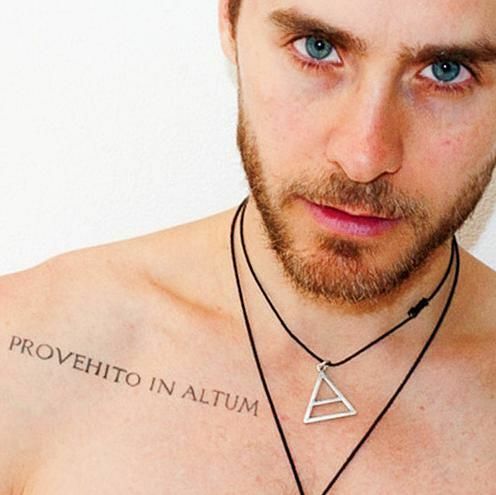 Meaning: Jared has two roman arrows inked on each of his calves. This Roman arrows also represents 30 seconds to Mars’ iconography. Meaning: Jared has Orbis epsilon inked on his back. The Orbis epsilon is gain one of the logos of the rock band. It is a circle divided into two parts and showing four arrows emerging from it. This is the symbolic depiction of the universe. 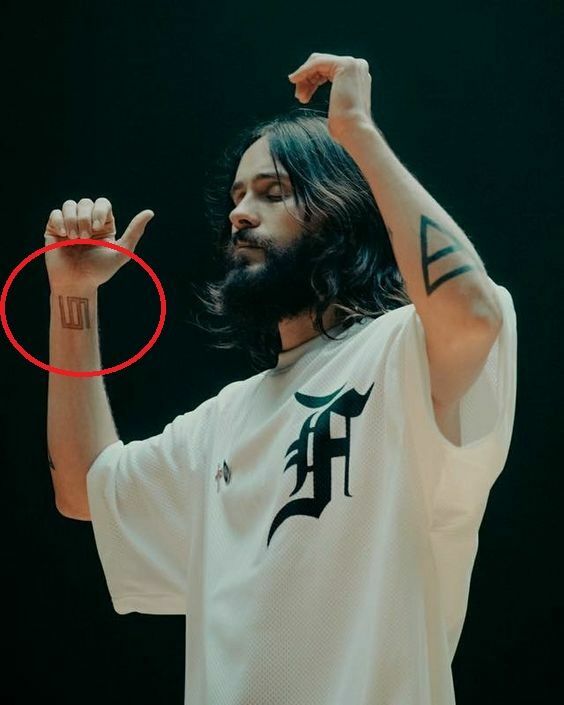 Meaning: Jared has Glyph Symbol inked on his right wrist. This is the mixture of all the glyphics which represents his band, 30 seconds to Mars. Fans of the band must have understood the tattoo very well.